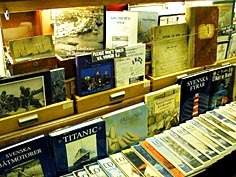 We offer an extensive selection of nautical books and magazines, log books and documents, certificates etc. We also stock Lloyds ships and yachts register and "Det norske Veritas" ships register. Please contact us for more information! A useful source of marine history and traditions! Take a "live" tour through our premises in Stockholm! 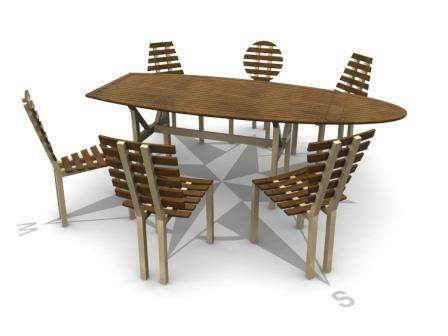 *Our panorama pictures give you a possibility to "walk around" in our shop in Stockholm. >>Click here for a live tour! **If you are using a regular modem, loading time may take a while. Click here for a smaller version of our panorama picture. *** A plug-in program needs to be installed on your computer. If you can't see our panorama pictures, try to download DevalVR from http://www.devalvr.com. More "live" tours are available at "About us" and "Newly-produced brass lamps". 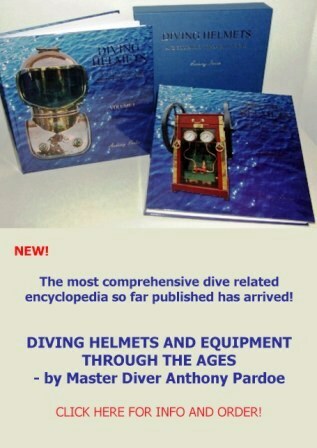 "Diving Helmets and Equipment through the ages" by Master Diver Anthony Pardoe. 2 volumes in exclusive slipcase. Published 2012, 470 pages. Click here for prices and more info! The Wall Chart of the TITANIC by Tom McCluskie. Pulls out to over 15 feet in length incl full color rigging and deck plans, survivor details, full crew list, minute-by-minute timeline - the complete story with over 100 photographs, many previously unseen. Incl 15 pages with The Official TITANIC Story. Letters from the TITANIC by Claes-Göran Wetterholm. Surviving letters and postcards written prior to the Titanic's departure, during her short trip and after the disaster. Booklet published for the 2001 Stockholm Postal Museum exhibition, 23 pages. Size: 30*21cm Also available in Swedish! The Swedish Lloyd 1869-1969. The first 100 years of history, booklet by Ture Rinman incl many photographs. Swedish American Line (SAL) booklet. Illustrating interiors from the motorliners KUNGSHOLM and GRIPSHOLM. Skandinavien-Amerika Linien booklet. Incl general information and illustrations. R.M.S. QUEEN MARY. Cunard White Star publication with large illustrations and "a noble tribute to the imagination of man." An Act held at Westminster Parliament on May 8th 1661, regarding maritime-related commercial trade. "An Act directing the Prosecution of such as are Accomptable for Prize Goods." An Act held at Westminster Parliament on April 25th 1660, regarding encouraging and increasing of shipping and navigation. An Act held at Westminster Parliament on December 5th 1743, based on previous sessions held 1741, regarding "better Encouragement of Seamen in His Majesty's Service, and Privateers, to annoy the Enemy". An Act held at Westminster Parliament on November 27th 1744, based on previous sessions held 1741, regarding piracy and robbery at sea. An Act held at Westminster Parliament on November 23rd 1758, based on previous sessions held 1754, regarding "the Encouragement of Seaman, and the more speedy and effectual Manning His Majesty's Navy; and for the better Prevention of Piracies and Robberies by Crews of Private Ships of War." An Act held at Westminster Parliament on October 19th 1721, based on previous sessions held 1714, regarding "the more effectual Suppressing of Piracy." List of 63 steamships of the Swedish shipping company "Rederi Aktiebolaget Svea". Incl sold and lost vessels. Brochure presenting the 1929 "Göta Canal" Cruise, the waterway between the east and west coast of Sweden (Stockholm to Gothenburg). By the Göta Kanal Steamship Company. White Star Liner MAJESTIC, the world's largest liner. Folded leaflet depicting scenes in the third class. Early 20th century. "Svenska Lloyd presenterar Nordsjöns största och modernaste passagerarfartyg PATRICIA." Brochure presenting Swedish Lloyds passenger ferry PATRICIA, the largest vessel sailing the North Sea. "Schiffbau und Schiffahrt." German literature on shipbuilding and shipping activity. 28 volumes dated between 1902-1930. "Tidsskrift i sjöväsendet." Swedish naval literature. 39 volumes dated between 1836-1896. "Till Rors med segel och motor." The Swedish magazine on sailing and motoring. A number of bound volumes covering the 1950's. "Svensk Sjöfarts Tidning." 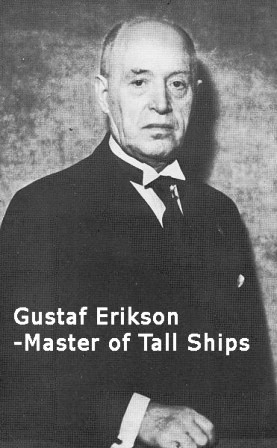 The Swedish Shipping Gazette. Bound volumes dated between 1919-1968. 1919-1941 & 1959-68 = Sold! Germanischer Lloyd (German Lloyd) classifications and instructions for building and equipping wooden and "Composit-Schiffen". Published in Berlin January 1, 1898. 87 pages.